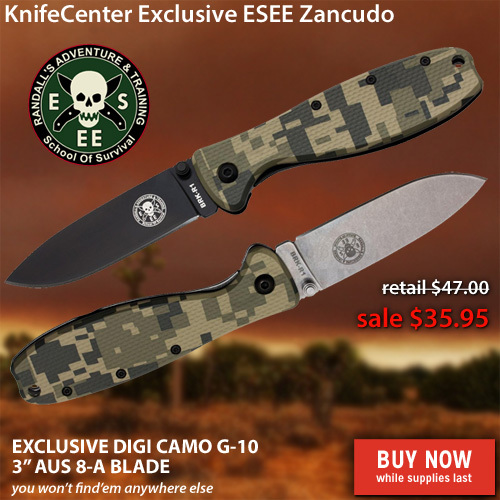 The KnifeCenter is having the biggest sale we have ever offered. We are relocating our entire operation to the beautiful hills of Spotsylvania County Virginia and are -having a once in a lifetime sale of EVERYTHING! (except price protected items-sorry!). It will all be at 20% off our normal price. This sale will not be repeated. We can’t include Benchmade, Chris Reeve and some others, but there are over 6000 items on sale! We’ll be offering it through December 30th but it only applies to orders that are entirely in stock and immediately shippable, so don’t miss your favorite items. We will be working a half day on New Years Eve and are closed on January 1, 2013 We’ll be back in full swing on Thursday, January 2. We want to wish all of our customers and shoppers a happy and healthy holiday season. Here at the KnifeCenter, we have been working long hours trying to play Santa’s elves and not the Grinch this Christmas so everyone can get their toys in time. The hard work has paid off, we believe, and there are very few problem packages this year. The web site has been going through some really significant upgrades and we hope it is still serving you well. We appreciate your feedback and we will use it to improve the site.